"If the Prime Minister (Narendra Modi) is honest, if he imposes a culture of honesty in governance, no person who cheats India will escape," he said, in a series of tweets. New Delhi: Showering praise on the Narendra Modi-led government for the extradition of AgustaWestland chopper deal case co-accused Rajiv Saxena and corporate lobbyist Deepak Talwar, Union Minister Arun Jaitley, who is undergoing medical treatment in US said that no one who cheats India can hide anywhere in the world and escape. “The UPA skeletons are tumbling out by the day. Why did all defence purchases need middlemen? No one who cheats India can hide anywhere in the world and escape. India’s diplomatic strength and more civilised international procedures will get better of him. If the Prime Minister (Narendra Modi) is honest, if he imposes a culture of honesty in governance, no person who cheats India will escape,” he said, in a series of tweets. 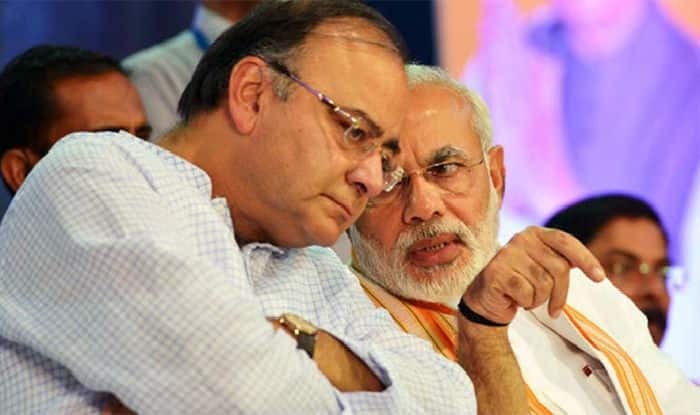 Jaitley’s remarks came in the backdrop of the extradition of Rajiv Saxena and Deepak Talwar from the UAE early on Thursday morning. The extradition comes as a major boost to the Indian agencies investigating corruption angles in two separate cases involving the two. Deepak Talwar is accused of brokering aviation sector deals, getting government approval for foreign companies, securing favours for clients and having ties with UPA functionaries. Rajiv Saxena is wanted in the Rs. 3,600-crore AgustaWestland VVIP chopper money laundering case. A Delhi court has sent Rajiv Saxena and Deepak Talwar to four-day and seven-day ED custody respectively.